BRYAN EATON/Staff Photo. 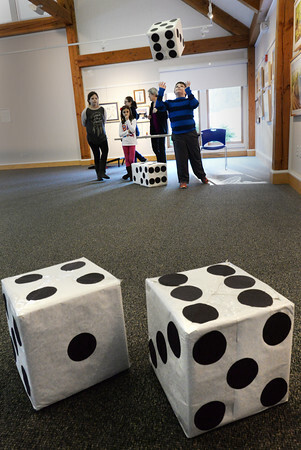 Matthew Donovan, 8, throws a giant die in a game of Yahtzee at the Merrimac Public Library. Younsters were playing life-sized version of games for school vacation week beside Yahtzee, Sorry! and Corn Hole.